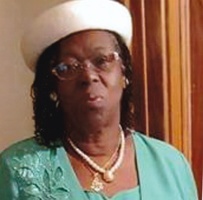 Provide comfort for the family of Mother Millicent Fletcher-Allwood with a meaningful gesture of sympathy. ROCHESTER - Went home to be with the Lord on 3/12/2019, at the age of 67. Leaving behind to cherish her memory, her husband of 26 years Claudius Allwood, six sons, daughters-in-law, 14 grandchildren, 1 unborn grand child, 2 brothers, 3 sisters, nieces, nephews, aunts, uncles, cousins and a host of other family and friends, including her Greater Bethesda COGIC Church family. To send flowers in memory of Mother Millicent Pauline Fletcher-Allwood, please visit our Heartfelt Sympathies Store. We encourage you to share your most beloved memories of Mother Millicent here, so that the family and other loved ones can always see it. You can upload cherished photographs, or share your favorite stories, and can even comment on those shared by others.